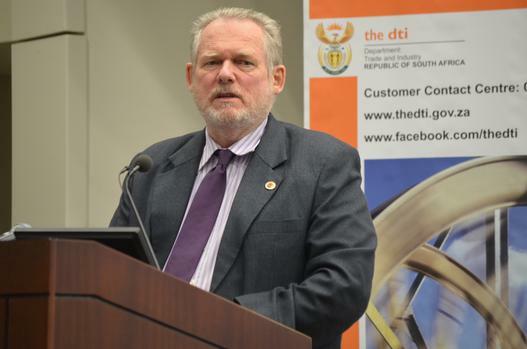 The Minister of Trade and Industry, Dr Rob Davies says progress has been made to finalise a roll-over Economic Partnership Agreement between the Southern African Customs Union (SACU) Member States, Mozambique and the United Kingdom (UK). Davies was briefing the media in Parliament on 13 March 2019 on the rollover of the EPA between SACU, Mozambique and the UK. SACU and Mozambique have been discussing with the UK the rollover of the EPA to avoid trade disruption post-Brexit. Minister Davies said SACU, Mozambique and the UK have agreed on Terms of Reference for the dialogue on the roll-over of the EPA. “The Parties have made substantial and substantive progress towards the conclusion of the SACU, Mozambique and UK Economic Partnership Agreement (SACUM-UK EPA). Only two issues remain outstanding. These include cumulation in relation to rules of origin and sanitary and phytosanitary measures or regulatory measures and standards related to food safety and human, animal or plant life or health,” said Davies. Once the UK exits the EU, materials from the EU that are used in manufacturing products in the UK shall not qualify to be considered in determining the origin of the product for purposes of affording eligibility to preferential market access. This would also apply to some EU materials used in manufacturing products in South Africa for exports into the UK. On Sanitary and Phytosanitary measures, Minister Davies stated that the Parties have agreed on the need for the UK to continue to recognise EU model health certificates, establishment listings and other import requirements upon the UK’s exit from the EU in order to ensure continuity in agricultural market access. However, the Parties are still discussing the timelines for continued recognition of these import requirements. “The MoU will carry over the effects of the SADC-EU EPA to ensure that there is no disruption of trade on 30 March 2019 if the UK exits the EU without a deal. The MoU will roll-over the effects of the SADC-EU EPA for a period of 6 months, while the roll-over of EPA is either being concluded or the necessary domestic legislative processes for ratification of the SACU, Mozambique and UK EPA are being concluded,” added Davies. According to the list, a total of 469 tariff lines will remain dutiable with varying levels and types of duties, including ad valorem, specific, mixed duties; tariff-rate quota based duties. These will affect the following sectors: automotive vehicles, clothing and textile, lamb, beef, pork, poultry, rice, fish, fertiliser, fats and oils, sugar and molasses, ceramics and related products, cheese, tyres and wheels, butter, rum, bananas, fresh beans, bioethanol and spirits, cocoa, polyethylene, clove & vanilla. will undertake an analysis of the implications of the temporary tariff and industry and traders will be advised accordingly. The UK Parliament will vote on 14 March 2019 on the extension of Article 50. Should this receive a majority vote, the UK will remain in the EU and will continue to be bound by the terms of SADC-EU EPA. South Africa will continue to monitor developments in the UK and will advise traders as appropriate.